It’s hard to believe that it is officially spring. I know we’ll have the occasional snow still, but I’m already thinking about getting my yard in order for summer. I have a lot of grass, so I love it when it looks nice and plush in June and July. After some research, I found a few spring lawn care tips I thought I’d share that will help give your yard a jumpstart on green grass for the summer. In your quest for summer green grass, lush plants and shrubs it’s important to clean up any winter debris covering them as this could damage them and not allow them to recieve the proper sun light and water to help them grow. This step not only helps your lawn reach maximum growing potential, it helps make your yard look good too! Raking your lawn helps achieve green grass in a couple of ways. For me, it serves as a heck of a workout, but it also helps create airflow through the blades of your grass. By raking, you’ll also remove any leaves and debris that might have fallen over the winter. Raking will also help fire up your lawn’s root system. This is important for later on in the dry summer. March is also a good time to get that first mowing out of the way. Like raking, mowing will help your lawn’s root system get going. 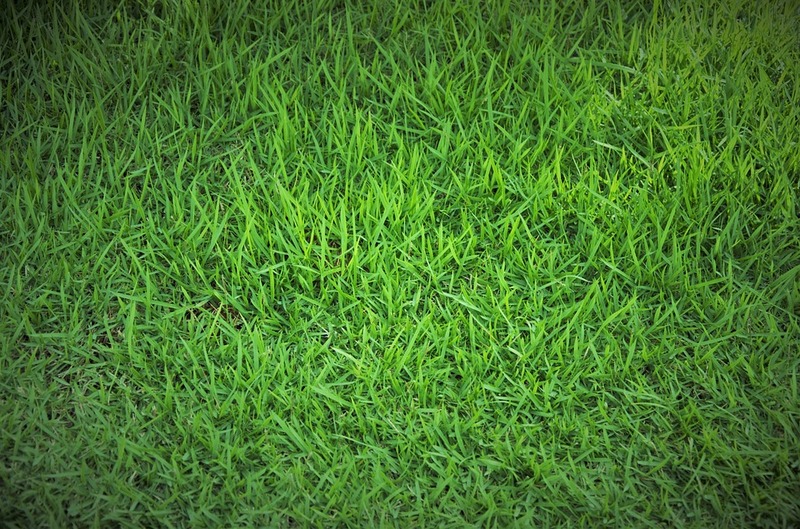 For green grass, mowing your lawn shorter in the spring will help reduce any weed growth, and will help your lawn become rich and green in the summer. The ultimate goal, right? You’ll want to remember to raise your blade for summer mowing, but shorter is okay this first time. When it comes to getting green grass in the summer, I found that aerating your lawn in the spring is a big deal, especially around here. If you don’t have someone that does it regularly for you, chances are they’ll be a company walking around The Meadows in a few weeks to offer this service. You can also rent a machine at Home Depot or Lowe’s. Aerating (poking holes in your yard) helps promote air flow in your grass, but it also helps loosen the soil so your lawn can absorb more moisture. Despite your grass being dormant, your first fertilizer application to your lawn will help stimulate the root system and lead to lush green grass in the summer. If you’re like me and love to look at your nice green grass in the summer it’s best to start following these spring lawn care tips as early as possible. For more landscaping tips on mostly lawn care, visit the Colorado Arborist and Lawn Care Professionals website. Share your tips on The Meadows Facebook page.